Trib Local just had a story that they had to evacuate a Pace 364 bus due to a biohazard because someone drank two beers and then had to take a leak. Apparently a long ride from Harvey to Orland Park. They should've took him to Tinley Park Hospital off 183rd and Harlem to have him evaluated. It has to be more to this story because it's not adding up well to me. The question essentially is that if someone had two 24 oz beers, I don't think they are going to be able to hold it. As Archie Bunker says, you can't buy beer, can only rent it. Also, I presume they were 24 oz. bottles. I don't know where one would get 24 oz. cans, other than Foster's, which leaves the question what happens on Australian buses. But I guess this guy wasn't willing to create "yellow snow" and wait a half hour for the next bus. 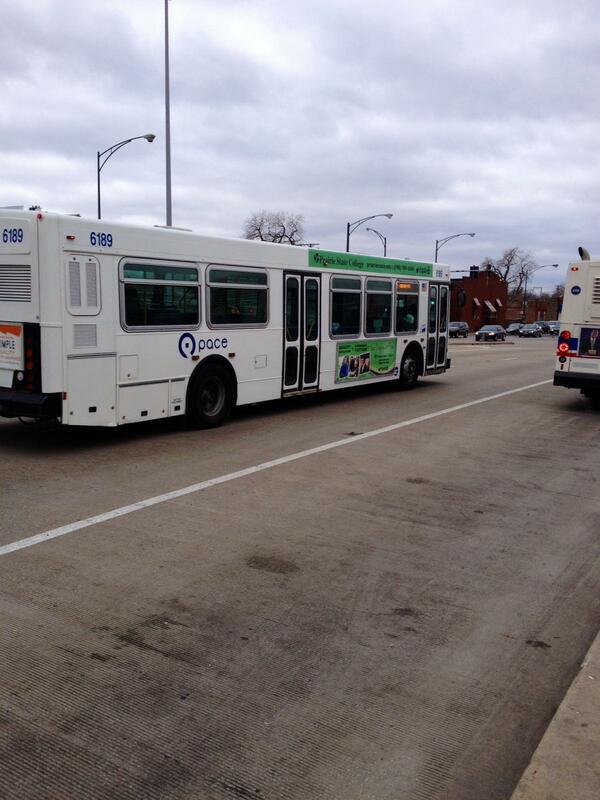 *BTW, does the "P" on some buses indicate something other than the run number? With that much liquor, it wouldn't be yellow urine. As far as garage codes go, are "P" and "1" synonymous? ....Also, as a result of numerous detours on Torrence Ave. and Ave. O coming back, I passed Adelman's, and there are a lot of retired Pace buses visible from 106th St.
News stories today that some auto theft and chop shop ring was busted at Adelman's (e.g. CBS2). I don't think that the export market was interested in the Orion Is, though. 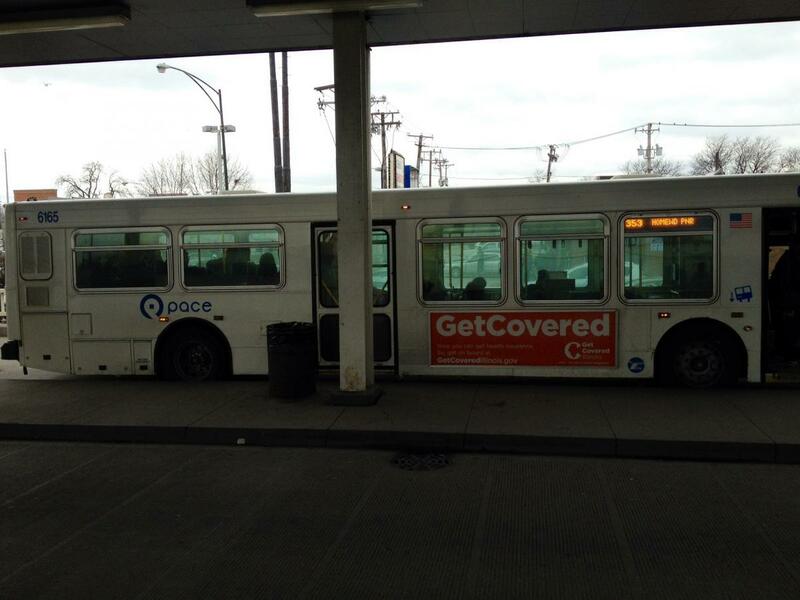 Also, before that there was a commercial about some woman on a "Transit Authority" bus (looked like a high floor Neoplan or Ikarus) who needed some medication for overactive bladder. From the top of this topic, apparently not necessary on Pace. Well, #6241 is not alone anymore with the logo change. South Garage now have some with that design. I've spotted #6165 #6189 #6215 #6217 and #6219 with it @ 95th Red Line. There are some at North (I saw one, believe it was 6682). That's good to hear. I haven't seen any 6600s at West with the logo change. I haven't seen #6682-84 yet. 6682 and 6684 went directly from Highland Park to N. 6683 is, I believe, at Fox (Elgin) on the 600s. 6633 was on the 272 tonight with the scheme. This implies to all Orion VI's. Anyone have any idea? It won't pop back up? Those have horrible seating and leg room, not to mention the design for assistance for those in wheelchairs. Most if not all 6000's have this. 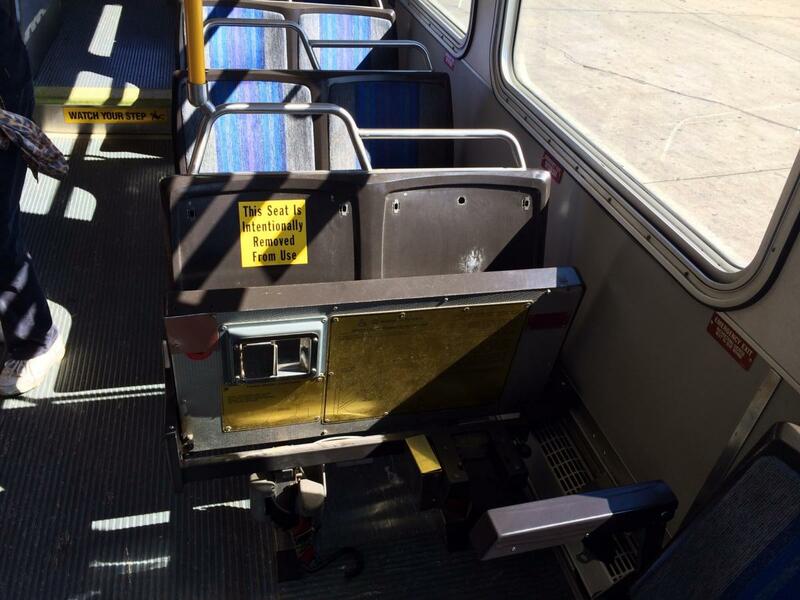 A lot of transit agencies have taken those seats out of service because of liability concerns as most older buses do not have a "wall" (for lack of a better term) to prevent passengers from falling into a wheelchair passenger. Those seats have been like that for a few weeks now (I've had more than my fill of Orion VIs; thank you Northwest). Thanks but I hardly pay any attention to outside transit agencies except NY MTA and MCTS. 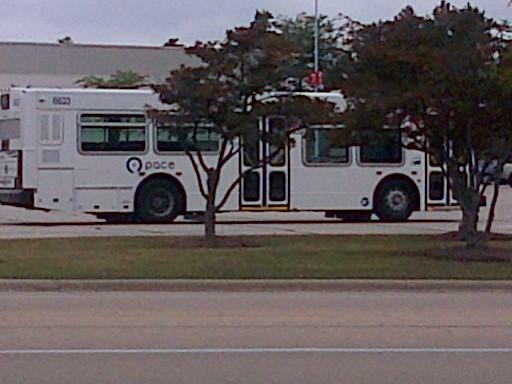 The Gillig buses here in Kenosha still have that seat that folds down right behind the wheelchair area priority seats. That makes no sense. (not that I'm saying your wrong) How could a passenger fall into a wheelchair passenger if that seat is needed for the wheelchair passenger? Heavy braking could be an issue, if you're a standee. Of course, if you're not holding onto the bar then it should be no problem. But if you're sitting in the forward facing seat adjacent, you can still run your knee into the metal barrier. But a standee would be in the aisle and still be subject to fall on the wheelchair. I must be missing something here cause it still don't make sense.